Have you checked your metabolic age today? Remember, it's never too late to start living healthier. What matters is that you decide to do it today. Not later or tomorrow, but today. You can dial back the clock on your metabolic age. We believe in you! Thank you to Anlene Philippines management, event staff, guests, and participants for making the event possible. Special shout out to @villablancs and @themachomom for some of these awesome shots! 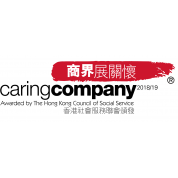 Recognizing TANITA Hong Kong’s outstanding commitment and continuous effort in promoting health awareness in Hong Kong local community and other corporate social responsibilities, TANITA was awarded the Caring Company Logo in 2019 by the Hong Kong Council of Social Service especially in the following areas: Caring for the Community Caring for the Employees Caring for the Environment TANITA will continue to strive to offer the best and most accurate health monitoring equipment and contribute to healthier, better World. 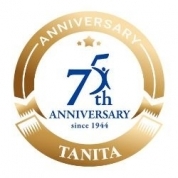 In 2019, TANITA is proudly celebrating our 75th anniversary since establishment. Since introducing the World’s First body fat monitor in 1992, TANITA home-use body fat monitor has accumulated over 30 million sales across 120 countries. We will continue to provide top quality, innovative products to help people constantly and conveniently “Monitor Health” for a better community. 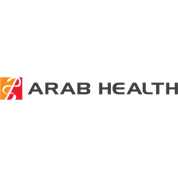 TANITA continued to show support in participating the Annual Arab Health 2019, taking place in Dubai from 28 – 31 Jan 2019, with the theme “Monitor elderly’s muscle stability”. Both professional body composition analyser MC-980MA Plus and MC-780MA have been showcased in the event. TANITA is proud to participate into one of the biggest exhibition shows in the world, the Consumer Electronics Show 2019 taking place in Las Vegas (8 – 11 Jan 2019). Showcasing latest TANITA’s invention, the TANITA booth showcased our Guinness World Records-breaking model, Hand-to-Hand Segmental Body Composition Analyser DC-13C, which allowed full body BIA analysis without the need of taking off shoes before measurement, guaranteeing the best hygiene in such a mass event. The DC-13C model was also connected with TANITA pinball game with strong Japanese cultural elements, specially customized for the CES. 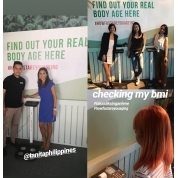 After measuring, the 30-second pinball game will automatically start, encouraging users to take regular body composition measurements. 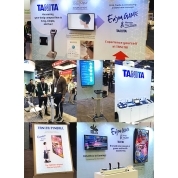 In the booth, TANITA also took the opportunity to showcase its latest joystick product to visitors coming from all over the world.